Brrrrrrrr wasn’t December cold, I’ve been mostly about and about in my dog jacket on various beach cleans picking up plastics, or sitting on the sofa with small human and Mr Tiger Feet watching back to back Shaun the Sheep. I’m very excited to say I’ve got a Pero dog food convert! Meet the rather adorable and photogenic Gweni. She’s a rescue like me and from the same rescue too, human did her rescue home check for her now humans (human was very impressed with them and secretly hoped they’d adopt her too). Human told Gweni’s human where to purchase the Pero brand in the local area or via their website. 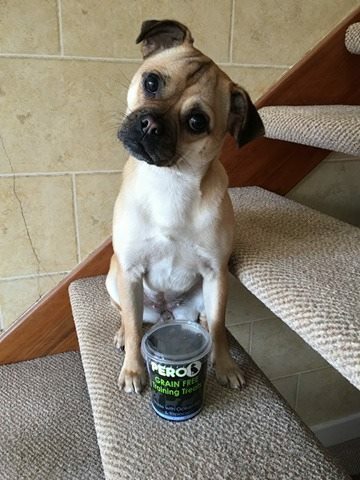 I gave Gweni some of my Pero training treats (as you see from the photo, she’s well impressed).